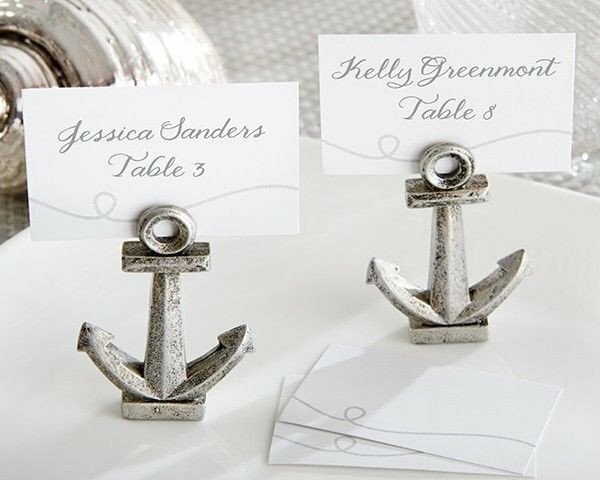 Let these Anchor place card holders create distinction and beauty on every guest table, completing your nautical theme! With its rustic charm, these anchors will decorate perfectly. Guests can replace their place cards with a photo of your special day. 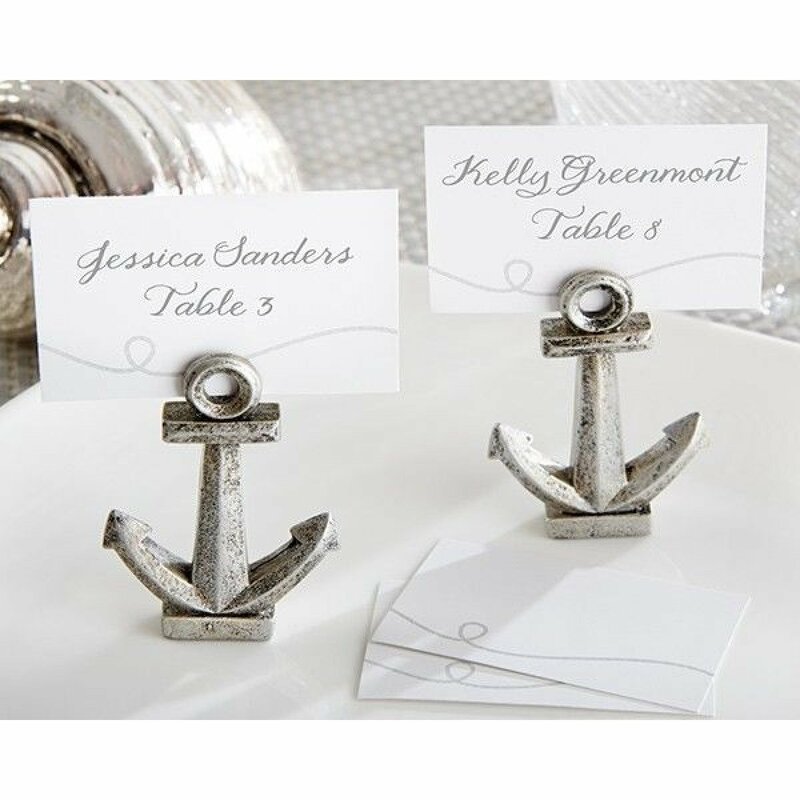 Generic place cards are included with each holder, design of guestname and table number cards differs to photo. Mesaures: 6.2cm x 4.5cm x 1.2cm. Do contact us if you require them immediately!